Does this pre workout live up to its name? At 211.5mg caffeine, it’s going to have to bring in the supporting infantry to amp up the workouts! At long last, Canadian powerhouse Dedicated Nutrition is finally available in the United States! Previously available only internationally, this brand has run circles around the competition around the globe — especially in Europe — but waited until the perfect moment to attack from the north. In fall of 2014, we reviewed the Unstoppablepre workout supplement, stating that “Dedicated Nutrition’s Unstoppable lives up to its name”. The formula and branding have changed, but the attitude has not. Dedicated Nutrition is here and they’re here to compete. 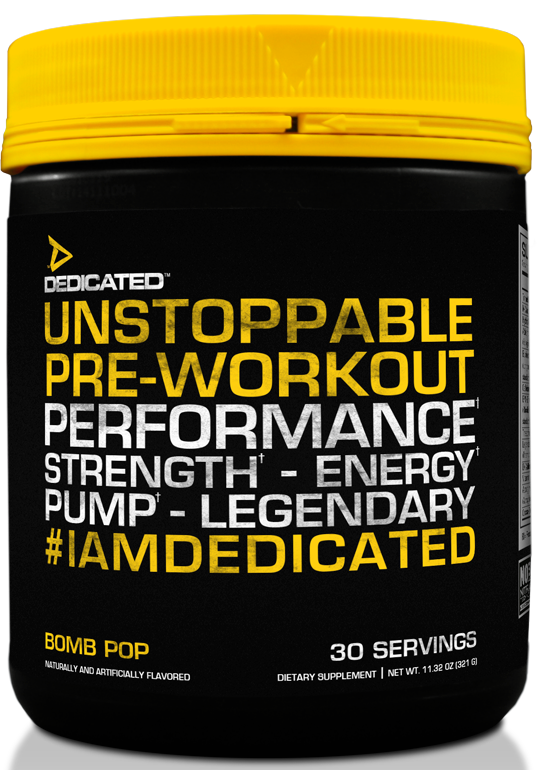 ... if Dedicated’s statements are true, Unstoppable may be one of the must-try pre workout supplements of 2018. The demand has always been there — who doesn’t want a pre-workout that will give sleeve-bursting pumps, competitive temperament, increased strength, enhanced focus, and unstoppable energy? Can you email me the ingredient label for your pre workout prior to me purchasing the product?